The 100-year-old historic farmhouse that is on every bottle of award winning Dunning Vineyards Estate Wines has been transformed into a charming Country Inn. The Dunning Ranch Guest Suites are located on 40 acres in one of the fastest growing touring and wine producing areas in the state; Paso Robles and the Central Coast region of California. Co-located with award winning Dunning Vineyards, this property is nestled in the heart of west side Paso Robles wine country. Free Wireless Internet and DirectTV. Suite 1 offers a private room, bath and kitchenette. Suite 2 offers two private rooms, bath, and full kitchen. This inn offers seclusion and magnificent vistas of the surrounding country. Vineyard views, private winemaker tasting and tours of our family Estate Winery along with in-room continental breakfast for all guests. Dunning Ranch & Guest Suites offers our private estate, perfect for relaxation and enjoyment. 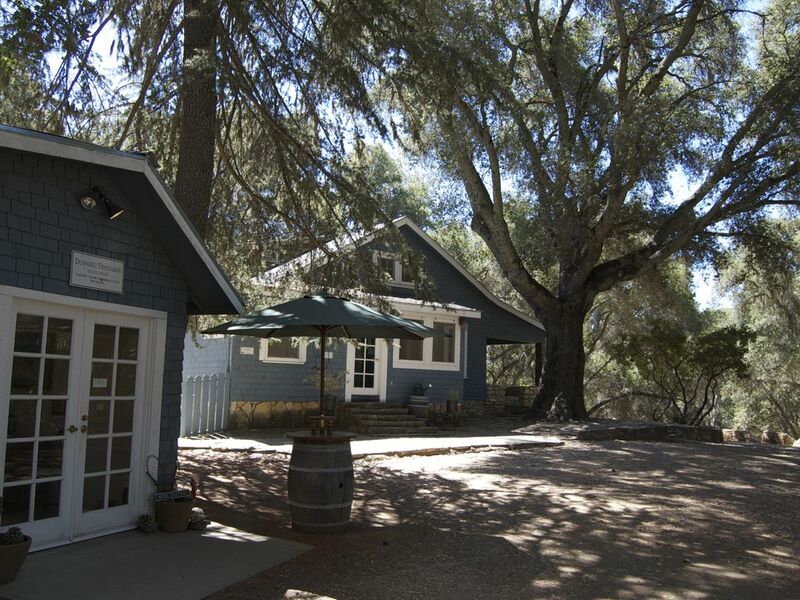 Amenities: Private setting on 40 beautiful acres in the heart of Paso Robles. Close to acclaimed wineries and award-winning restaurants. Complimentary wine tastings at Dunning Vineyards. Down-filled duvets and luxury furnishings. DVD library and DVD players. Individual and discreet verandas or patios. offers seclusion and magnificent vistas of the surrounding country. the scenic beauty the central coast of California has to offer. Oversized jet tub upstairs and a large soaker tub and a separate shower unit for the two bedrooms downstairs. Both Suite 1 and 2 have separate dinning areas. Paso Robles now boasts over 26,000 acres of wine grapes, 170 wineries, and more than 100 tasting rooms. After a full day of wine tasting, waterskiing or golf, its time to try one of our local restaurants. Paso Robles has no shortage of culturally diverse and eclectic dining experiences. Whether your appetite calls for a tender Harris Ranch steak or French “Bouillabaisse”, a home-style ranch breakfast or Sunday champagne brunch, Paso Robles will leave you satisfied. Paso Robles prides itself on its culture and early California heritage. The Downtown City Park plays a graceful host to a number of entertainment events throughout the year. Enjoyable wine festivals, relaxing summer concerts and art expositions highlight the local artisan talent of the quaint Paso Robles region. There are organic farms that sell everything from heirloom tomatoes to fresh lavender, horse and cattle ranches where you can stay overnight and go on a trail ride or cattle drive, or gourmet cooking classes.